Ann Wells Crandall brings deep expertise in operations, partnerships and fundraising to the charity. Free to Run enters into new partnerships with the PARSA Afghan Scouts and 261 Fearless. We have several exciting updates for the Free to Run community. As you may have seen in social media, our 3rd Afghan ultramarathon team competed in the Gobi March by RacingThePlanet. Zeinab and Hasina have been building up to this 250km self-supported footrace in Mongolia for years. In the last few months alone, they ran over 400km to prepare. Runnners World just published a great article about their training program for this grueling race. It was absolutely inspiring to see their determination and excitement leading up to this once-in-a-lifetime event. The race was exhilarating to watch, even from afar. Zeinab successfully finished all stages making her the 4th Afghan women to complete an ultramarathon. Sadly, Hasina was injured about half-way through the race and had to stop, but she showed remarkable poise and strength. We are so proud of both of them! The support from the Free to Run community throughout the race was incredible - we were genuinely touched by all of your comments and reactions to the race updates. Zeinab, Hasina and Taylor at the finish line of the Gobi March. Photo credit: RacingthePlanet. A special thank you to Mary Gadams and the entire RacingthePlanet team for taking such great care of Hasina and Zeinab while they were on their very first trip outside of Afghanistan. With the support of key partners, we’re deepening our impact in Afghanistan and strengthening our newest program in the Democratic Republic of the Congo (DRC). In Afghanistan, I’m pleased to announce that we’ve entered into a partnership with the PARSA Afghan Scouts Program who will be incorporating a Free to Run designed Sports & Nutrition badge into their national program. 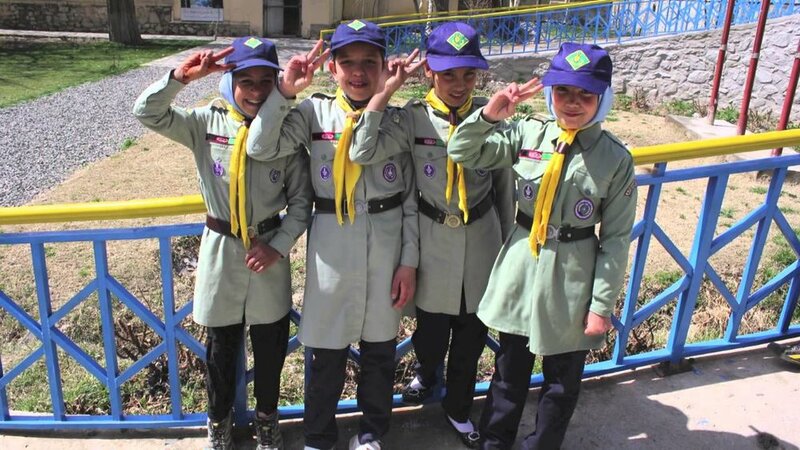 The badge focuses on training the Afghan Scouts to run a half marathon and teaches them basic nutrition that’s centered around enhancing physical activity. Participants who successfully complete the program will receive an official Sports & Nutrition badge. The first project will finish in Kabul next month, and then it will be expanded across 14 provinces for other scout troops to pursue. In the DRC, we’re partnering with 261 Fearless, the global non-profit organization founded by the iconic Kathrine Switzer. With the support of 261 Fearless, we will incorporate the 261 Fearless training program into our overall program in this region. Behind the scenes, our Board of Directors is working tirelessly for Free to Run in a volunteer capacity. We have a diverse board, but we all share a deep commitment to the vision and mission of Free to Run. I’m grateful for their support and guidance, and their drive to provide more opportunities for women and girls in regions of conflict. I’m also very excited to announce that we’ve appointed a new Board Chair, Ann Wells Crandall. Ann is a recognized leader in the sports business industry and she brings deep experience in business operations, strategic partnerships and fundraising to our board. 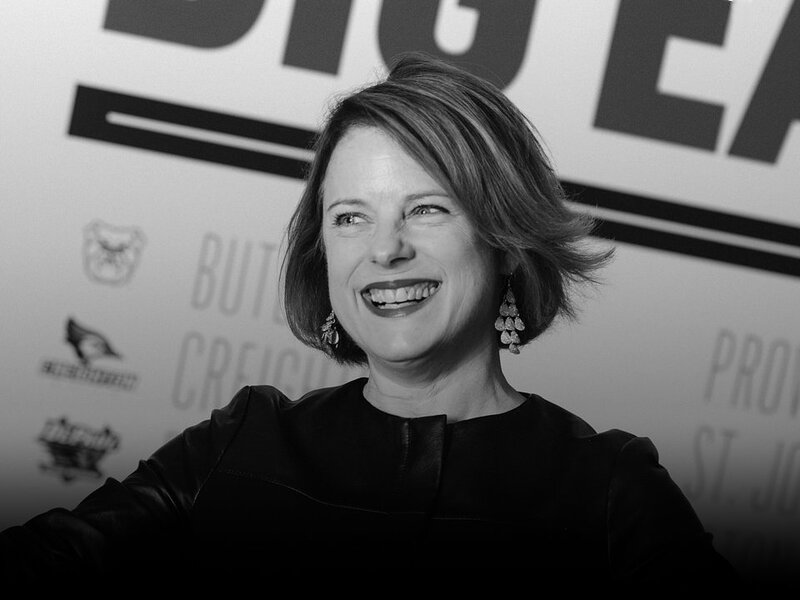 Ann is presently the CMO of the BIG EAST Conference where she oversees all marketing and sales initiatives. Prior to joining the BIG EAST, Ann was the Executive Vice President of Business Development and Strategic Partnerships for the New York Road Runners (NYRR). At NYRR, she helped to drive significant revenue growth and several long-term strategic partnerships, including the organization's first-ever title sponsorship of the New York City Marathon (ING New York City Marathon). Ann lives in Manhattan and in her limited free time, is also an avid runner. Of course! We’re truly honored to welcome Ann to the board. I would also like to take this opportunity to thank Connie Schneider for her incredible work as our founding Board Chair. We would not be where we are today as an organization without her leadership and passion for Free to Run. She has been instrumental since day one - when I was drafting the plans for this organization in a tent in South Sudan. Connie has provided extensive support to the organization, to our participants, and to me personally over the years: everything from the writing of our bylaws to running alongside our 2nd Afghan ultramarathon team in Sri Lanka, and all points in-between. Connie has our deep gratitude and thanks for her many contributions over the past four years. New partnerships, new team members, expanding programs and a new Afghan ultramarathon team - this is a very exciting time for Free to Run! Thanks to all of you for your continued support. We routinely receive messages of support and encouragement from all over the world. Your messages and donations, both large and small, allow us to keep our doors open (and our running shoes on). Please keep them coming. With deep gratitude, happy trails to all!